The SMOK INFINIX looks very nice… but there are some pretty alarming issues with its coils that you should be aware of! 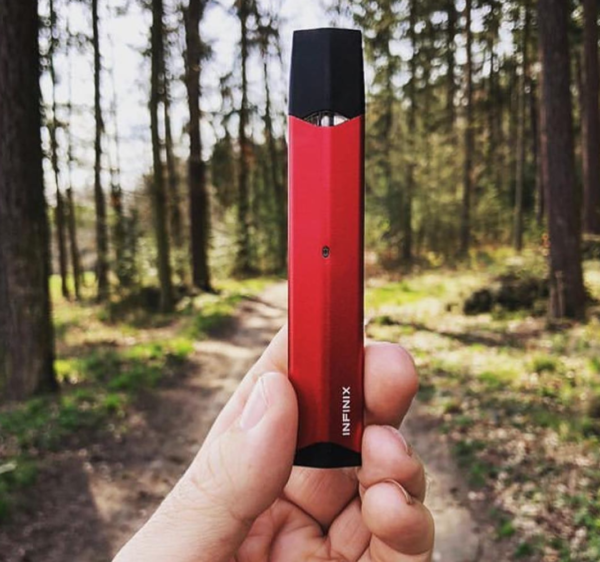 On paper, the SMOK INFINIX looks like the perfect pod system vape. 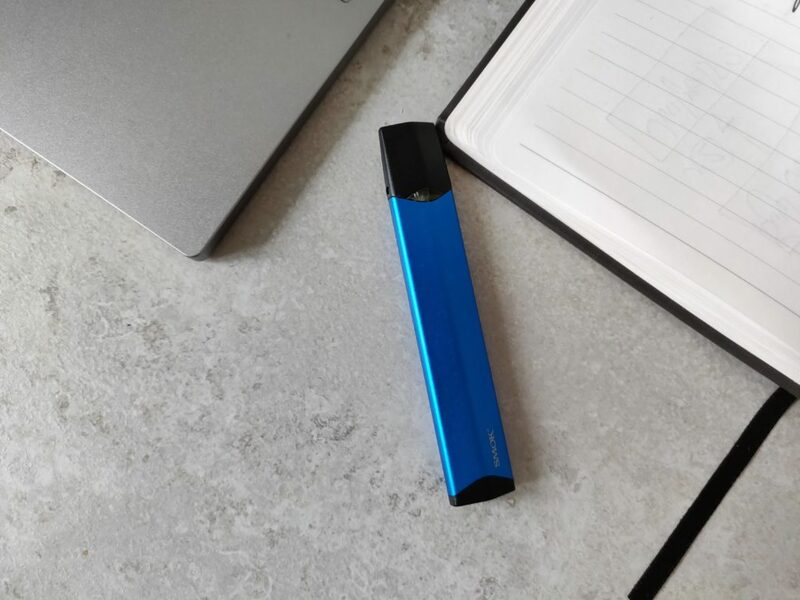 It has a decent-sized battery, it’s 100% refillable, and it looks great, coming in multiple color options. Initially, all of these things make it a very nice vape to own. However, in true SMOK fashion, the INFINIX is let down by coils that burn out far too quickly. And given the low wattage this device runs at, this shouldn’t really be an issue – but it is. Beyond this, things are good. But a decent pod system lives and dies by the quality of its coils, and here they just aren’t up to the task. If you’re looking at pod mods, I would 100% go with the SMOK Nord over the INFINIX. It is better designed, has better battery life, vastly improved coils, and it kicks out immense flavor. It’s also very cheap too – just $23.95 (with FREE shipping). I’ll admit it: I do really like pod mods. I’ve used a bunch now, and regular readers will know that my #1 pod mod right now is the SMOANT S8 Pod. I tested the SMOK Rolo Badge and INFINIX a while back, but I’ve only just gotten around to testing the latter. Initially, I preferred the SMOK INFINIX. But over the past couple of weeks, I’ve found that the Rolo Badge is actually the superior pod mod device. And in true SMOK fashion, it is largely down to the coils! The SMOK INFINIX is a nice looking pod mod. I really dig the way it looks, right down to how it feels in my hand (and how little room it takes up in my pocket). 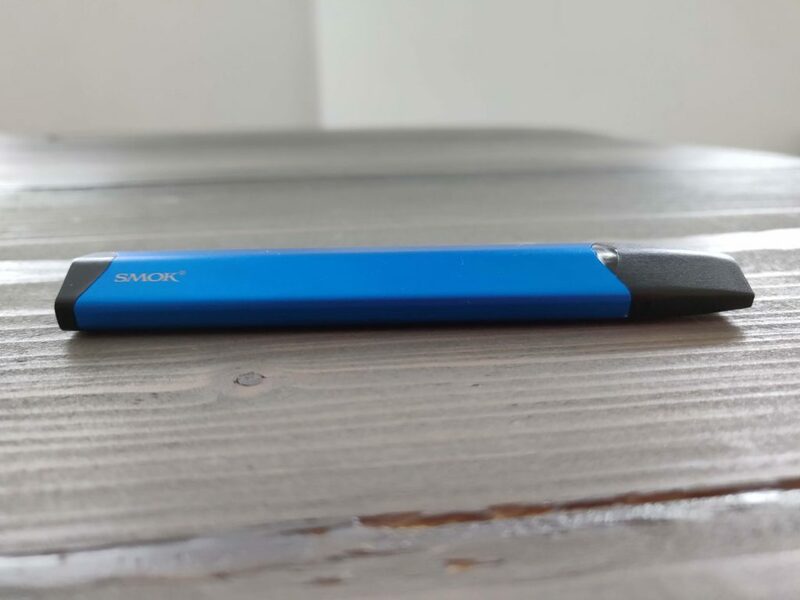 It’s smart, well-executed, and, in true SMOK fashion, is available in a range of color options. My review unit was the blue version. And I think it looks badass. 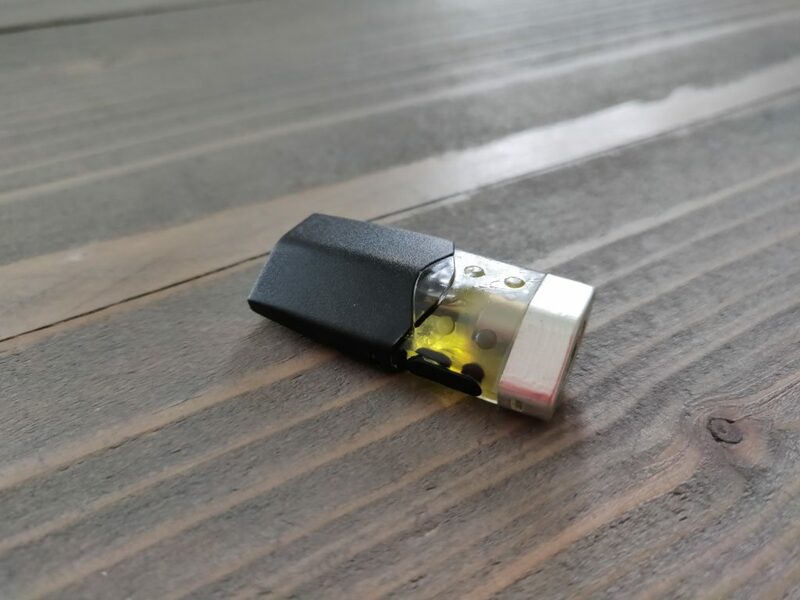 Like all pod mod vapes, the design and how it comes together is very simple: you have a battery (the bottom portion of the device), and a pod/mouthpiece which sits at the top. The SMOK INFINIX is a refillable system, which is great, as you can use your own E Juice. This is a massive positive for me, as I positively HATE closed pod systems. They’re basically the work of Satan. And if you don’t believe me, well… run a JUUL for a few months and see how much you spend on JUUL pods. All told, the SMOK INFINIX is a tidy-looking pod mod. 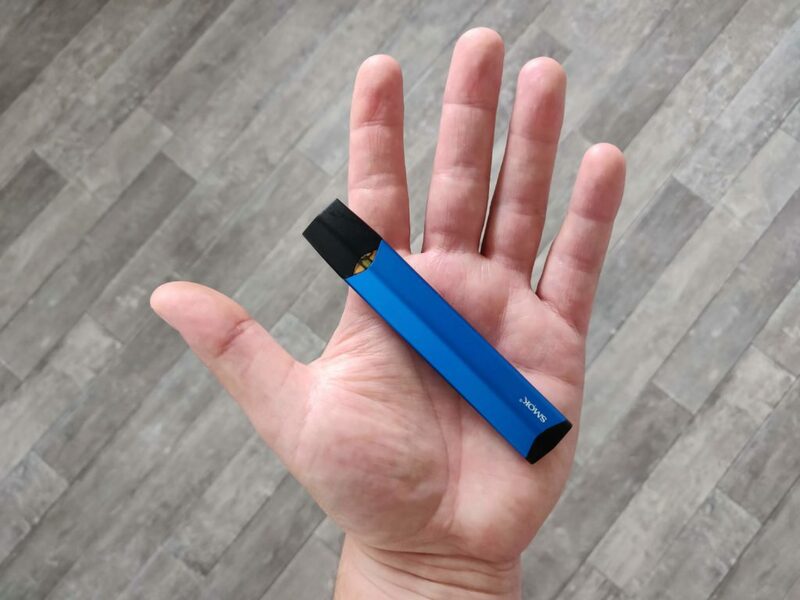 Probably one of my favorite looking pod mod devices around right now. I love how simple it is, the fact that everything is breath-activated, and that setting it up takes less than 10 seconds. The pods are simple enough to use. They’re pretty tiny and have a rubber port on the side, which flips open when you need to refill them. SMOK even includes a bottle with a super-thin tip for refilling them, which is a nice touch. The first pod I used worked fine; the flavor was decent and it lasted a good week and a bit. The second and third, however, burnt out almost immediately – and this is not good. 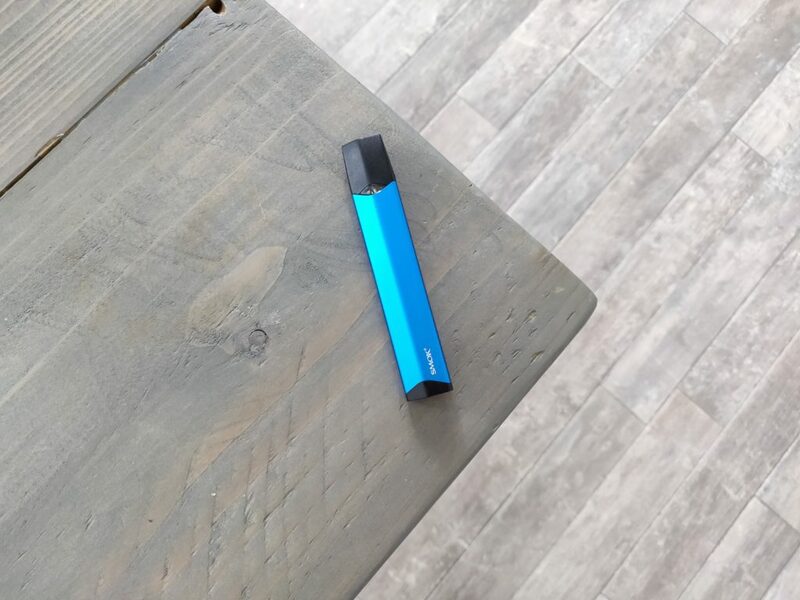 I tried a fourth and it did the same: two days of vaping, then it burnt out and would only deliver foul-tasting dry hits. 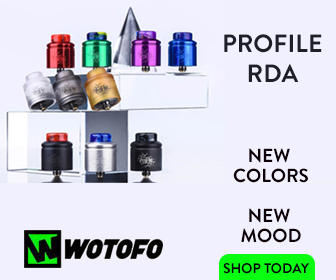 A pod mod will live and die by how its coil system works. And in my experience with the SMOK INFINIX, the coils just aren’t up to scratch. Out of the four pods I tested with it, only ONE worked as advertised. One! And this tells me all I need to know about SMOK and the SMOK INFINIX as a reliable pod mod. When it works it is good. 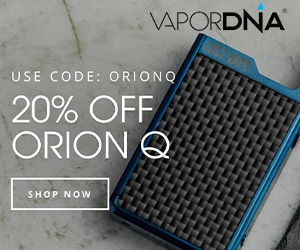 The airflow is smooth and, while the flavor is no way near as precise as the Suorin Drop or SMOANT S8 pod, it is decent enough. Just nothing to write home about. I’ve consistently got around 5-8 hours from the SMOK INFINIX, depending on how heavy my usage was. Again, this is pretty much par for the course with a pod mod. The SMOK Rolo Badge’s battery is more or less exactly the same. However, the SMOK Rolo Badge has a VASTLY superior coil/pod system; they just last longer and tend to have more flavor. SMOK INFINIX – Would I Buy It? If you asked me this during the first few days with the SMOK INFINIX, I’d have said yes – in a heartbeat! Now, though… well, it’s a much different story. The SMOK INFINIX is plagued by bad coils. And this, when you’re talking about a pod mod, is basically no good. It’d be like an engine in a car only working properly every other month. You wouldn’t stand for it. And neither should you when it comes to pod mod vape systems. My advice? 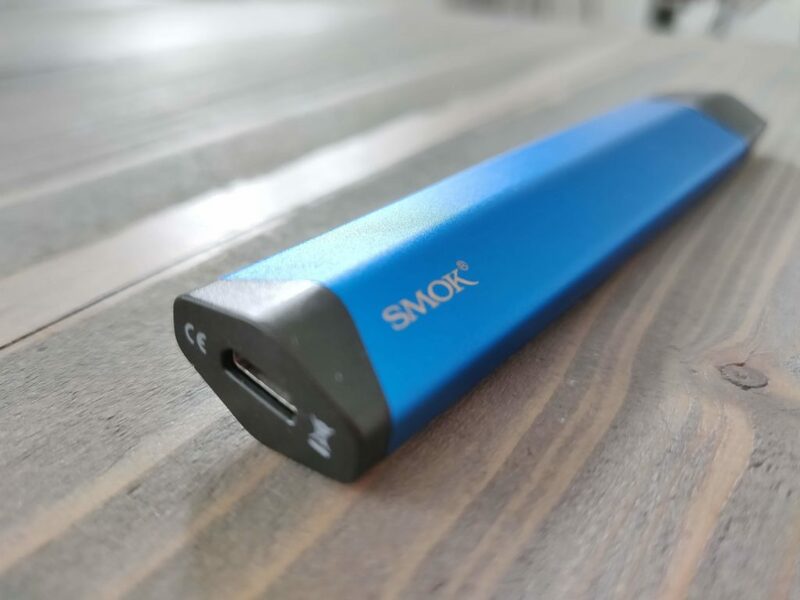 If you’re after a decent pod mod, get the SMOK Nord instead – it’s a way better device. It is utterly fantastic in every regard. It is my go-to pod mod system and has been since I first got it about six months ago. I’ve tested a bunch of pod systems since then and none have come even remotely close.